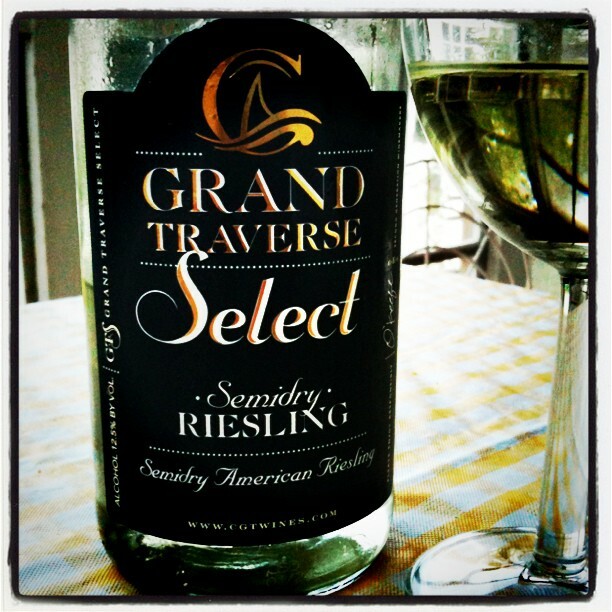 On our recent wine shopping trip, we stocked up on the 2010 Chateau Grand Traverse Late Harvest Riesling, Michigan riesling we both enjoyed. The Kroger we went to also had the more basic wines of CGT under the “Select” label available, so we decided to give the semidry riesling a go. It was well worth our 8 bucks (Kroger had a nice sale going on, and their additional 10% off when you buy four or more bottles…which we easily topped)! That is what I have in mind when I am thinking bread and butter. The first thing you notice, even before opening the bottle, is its very very light color. Hardly any yellow in there, just a very light green. It has a really pleasant smell with peach, and apricot jam, and I’d say golden delicious (a sweeter, not so crisp apple), and there were hints of pineapple. Just what I love in a good riesling nose that gets my mouth watery. The initial taste was a refreshing citrus, that soon got taken over by a full-blown peach assault. The end, however, is quite short, nothing much memorable. But, hey, for an easy wine that is ok. It made me crave another sip. 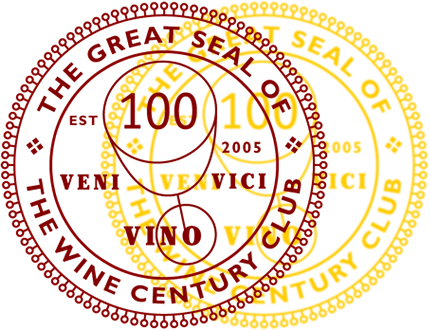 For my taste, in a light wine like this, I would have preferred a little less sweetness and a bit more acidity. Semisweet might have been a more appropriate name. I think it is a good and easy summer wine that went really well with baguette, ham, goat cheese and this incredibly delicious Trader Joe’s “Unexpected Cheddar Cheese”, which is an aged cheddar produced in the parmiggiano fashion, which gives it a great, crumbly texture with a cheddar taste. I will probably give the dry version of this wine a chance, too. By funny coincidence, I had a 2010 CGT Riesling in a restaurant here on Thursday, the same day I’d read your post about their late harvest. I liked it and was glad to hear that it can be bought as cheaply as you found it (restaurant mark-up meant it was a $10 glass). We were at a newish restaurant here called Frog ‘n’ Snail, both of which are served, but I had mussels (fennel in the broth) and Bob ate pousssin with ratatouille. That is indeed a funny coincidence. I am glad you liked their wines, too. I have been impressed with what I have tried. The mussels should go well with a dry riesling (I hear, I am not a particular fan of mussels)…I like the name of the restaurant!